Trivandrum, 26 August 2017: The Kerala Motor Vehicle Department has announced new services to curb road transport offences in the state. The offences will now be intimated over Email or sms to the vehicle owners account. Payment can be done through online facility. 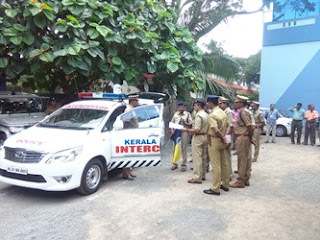 The department will provide 14 Interceptor vehicles, one to every district. These vehicles will be equipped with 180 degree wide angle video camera, overspeed radar, breath analyser, lux meter, opacity meter, decibel metre etc.